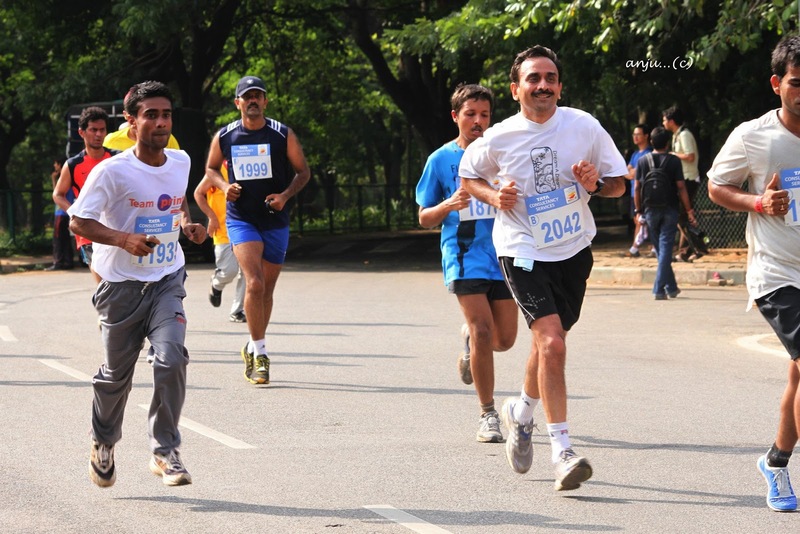 The TCS open 10K on 27th May 2012 was my 5th consecutive Open 10K race in Bangalore. Though it was my slowest finish in terms of timing I enjoyed the race experience specially the comraderie with so many fellow runners that I usually bump into at races around the country. I had gone out of town on a short vacation and reached home around 7am as my train got delayed on the return. After getting ready quickly (I had pinned my bib and tied my timing chip to the shoe before going on the trip) I rushed to Kanteerva stadium. I reached the holding area around 7:52 am with less than 10 minutes for race flag off. Though the organisers had seggregated runners by previous finish timing the holding area was still too crowded .I got caught up in chatting with a few fellow runners and did not realise till very close to race start time that I was at the far end of Zone B. At 7:55 am the elite women took off and soon after that the open 10K runners were let into the track by Zone. It was very chaotic getting to the start line with a lot of pushing and jostling while going down the steps and getting out of the holding area. It took me over a minute after the start of the race to reach the start point. It was so terribly crowded that the first 2 Kms was a lot of start/stop, wading through slower runners and even some walkers. I could not really pick up to my normal pace till I reached Cubbon road about 2 Kms from Kanteerva stadium in over 12 minutes - there were simply too many people on the road. Many of them were not running and ended up blocking the faster runners. After that I had a good race from Km 2 till the finish. It was warmer than last year but the changed route (due to metro construction work) seemed a bit easier. As has been the norm there were water stations and Km markers enroute. I stopped at two water stops once around 4Kms and the second time around 8Kms. 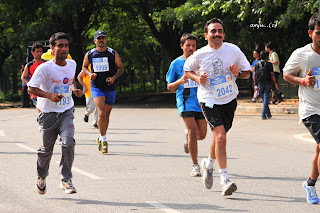 Once I entered Cubbon park between Km 8 and 9 I was able to pick up pace and finished very strongly in net time of 51:11. After the first couple of Kms I knew that I was not going to achieve my goal of sub 48:30. However, I was hoping to keep it sub 50 and was quite disappointed in not being able to do so. I should have started pushing harder from Km 6 itself. My Garmin showed the following split timings. Clearly splits 7,8,9 below should have been at a better pace. See here for official results. The split times here are different from that shown by my Garmin and incorrect. As per the official timings I covered the last two Kms in 6:35 - how I wish I could do that!! 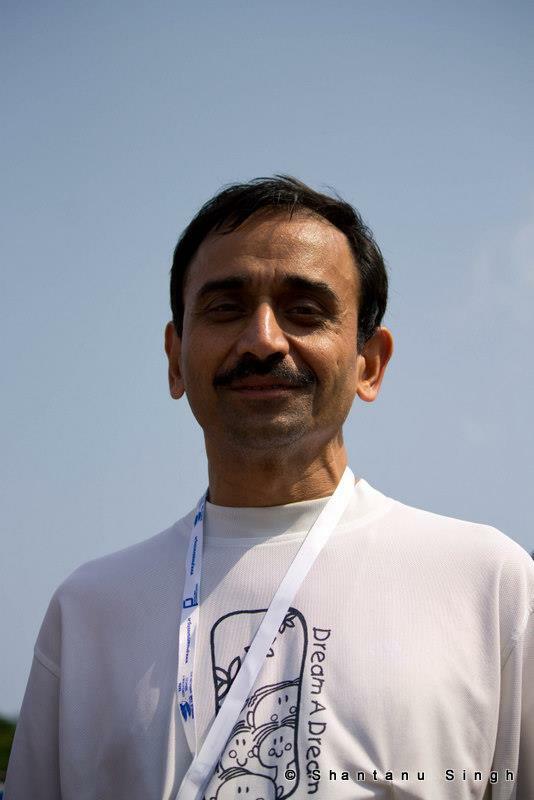 My timing gave me 8th position in my age category in which Pani and Sid took the first two positions. Rahul completed in 70 minutes about 4 minutes slower than his PB. While I am not yet as fit as I was last year I should certainly have been able to do a sub 50 if I had been able to break away at the start. The distribution of post race medals and refreshments was much better organised this year - it was inside the indoor stadium. After hanging around and exchanging notes with several runners I returned home around 10:30am.